Halloween is a holiday best spent with close friends and loved ones. 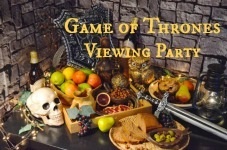 Whether partying into the wee hours of November, watching horror movies with a couple best buds, or taking a quick trip around the trick-or-treating circuit with the family, the festivities of October 31st are most memorable in a group setting. 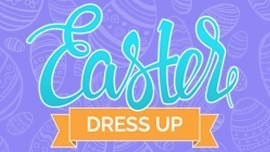 So, if you'll be hanging with a crew anyway, you may as well try your hand at the art of group costuming! 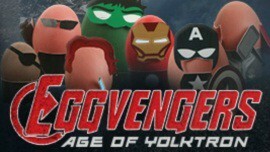 Why battle the forces of evil as Iron Man alone when you can have the whole cast of The Avengers at your side? 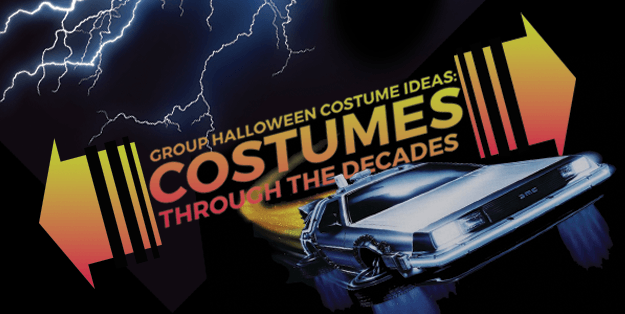 Join us as we fuel up the Flux Capacitor, climb into our DeLorean time machine, and work our way back through pop culture to bring you the best group Halloween costumes ideas through the decades! It probably doesn't feel like it, but the year 2000 was actually 15 years ago. (Or perhaps even further than that if you're reading this after 2015!) Popular culture in the 2000s was dominated by superhero movies and larger-than-life pop singers with out-of-this-world styles. 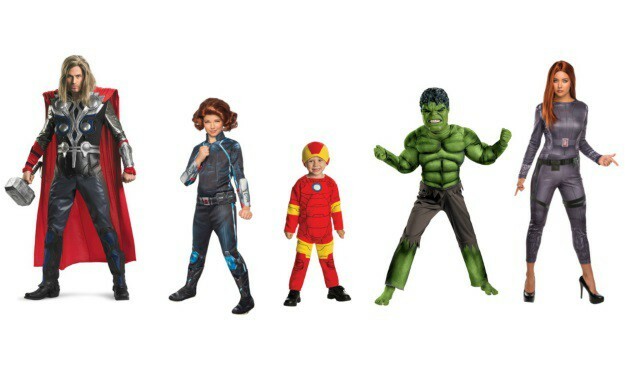 Offering colorful and diverse casts, superheroes and superstars both make the perfect source material for group Halloween costumes. With major superhero blockbusters like The X-Men, Iron Man, Fantastic Four, and more, the world has been gifted with the unstoppable power of superheroes. 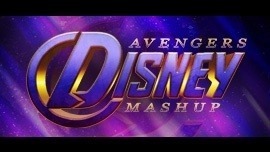 Then Marvel took it to the next level by taking the biggest individual heroes and putting them all in one movie with The Avengers. These superhero ensemble movies are perfect for finding a great group costume, and none are better than The Avengers. Superheroes weren’t the only colorful characters of the 2000s. This was a time for celebrating pop-superstars that were as spunky as stars from the 70s, with hair and outfits like the 80s, and attitudes all their own. 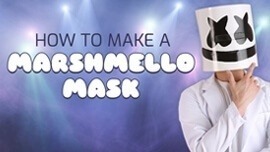 Stars like Lady Gaga, PSY, Katy Perry, and Nicki Minaj, have all become synonymous with the Halloween scene. 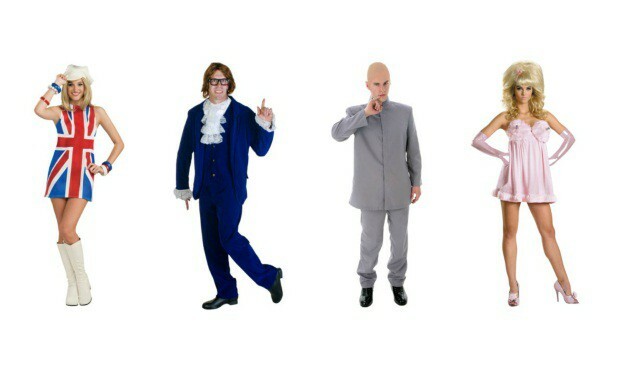 The colorful group of superstars above would blend to make the perfect group costume. Which of your friends is the diva most likely to make it to the top? 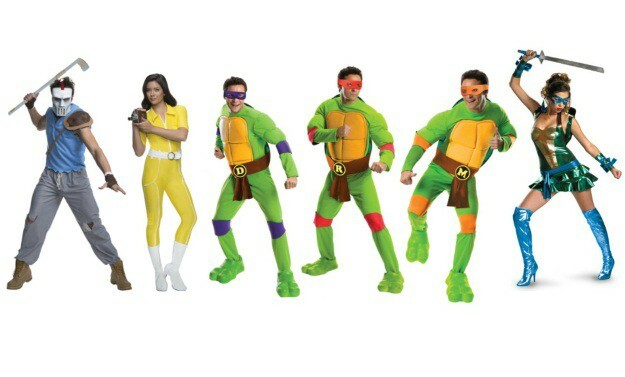 Even though the Teenage Mutant Ninja Turtles were hatched from the imaginations of Kevin Eastman and Peter Laird in the 80s, they really cemented themselves as a staple Halloween costume after the 1990 film. Climbing out from the sewers and into the imaginations of a growing Gen-Y, this group costume has been a staple ever since. The late 1990s would not be the same without actor Michael Myers' unforgettable portrayal of a toothy, fictional British spy, Austin Powers. With some of the best one-liners, quips, and jokes to come out of the 90s, Austin and company make for a 'shagadelic' group costume! The now famous catchphrase, "Yeah Baby," coupled with flashy 1960s-themed frilly shirts and blue velvet suits helped make this film an instant cult classic and an ever-popular group Halloween costume. Super Mario Brothers sparked the dawn of a bustling video gaming industry that's still thriving today. It’s hard to imagine Lara Croft, Assassin’s Creed, Halo, or even Angry Birds, without Super Mario Brothers & Nintendo blazing the trail. 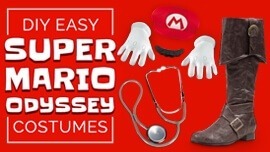 Some the sites, sounds, and scenes of the Super Mario World are so infused into the memories of entire generations, Mario and his colorful cast are sure to make a group Halloween costume that is instantly recognizable. Here’s where our time travels get a bit rocky. The 70s were pivotal but unpredictable years, filled with subcultures, wild fashions, and several popular musical styles. After the moon landing of 1969, the attitude of the 70s was one that looked to the future! Lucky for us, that futuristic focus made for some great Halloween costume inspiration! Little needs to be said for the impact that the Star Wars legacy has had on the world, including every facet of pop culture, and of course, group costuming. Halloween just wouldn't be Halloween without seeing at least a few Darth Vaders, Boba Fetts, Luke Skywalkers, Princess Leias, or Chewbaccas, roaming about. 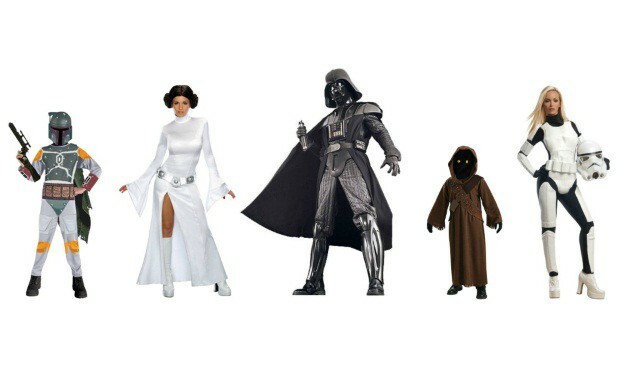 With the release of Star Wars Episode VII: The Force Awakens on the horizon, suiting up as the classic characters from the original trilogy will have everyone feeling nostalgic tingles. 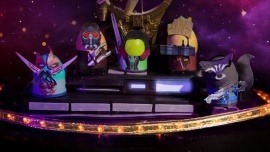 Back on Earth, the 70s provided us with a huge repertoire of amazing styles to style a group costume after. 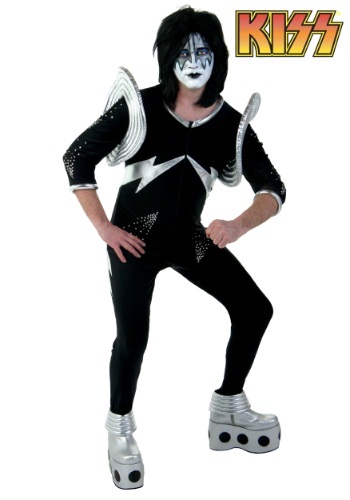 An earth-based but appropriately space-inspired group choice would be KISS! KISS dominated the music scene in the 70s and left permanent imprints on our memories. Because of their bold makeup and eye-catching silhouettes (those boots! 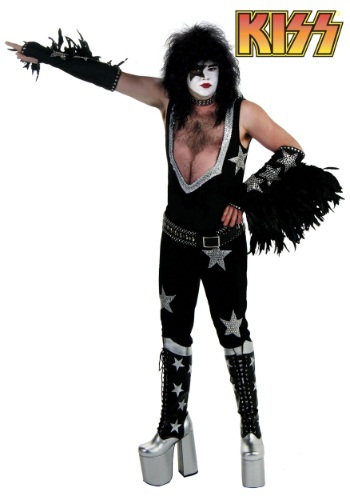 ), KISS costumes are ever-present at Halloween parties across the nation. “Ya-ba-da-ba-doo!” or do not? “Scooby Dooby Do!” or do not? These are the questions heavy on the minds of group costumer fans looking to capture the spirit of the 1960s. With distinct personalities and costumes that are bright and simple, you can't go wrong with characters from either of these franchises! 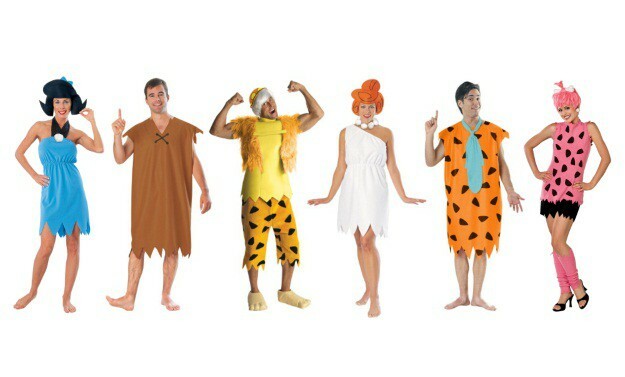 The effect that the Flintstones had on group costume trends of today is undeniable. This prehistoric cast is an especially great choice because of their versatility - it works for a group of adults, a group of kids, or a fun mix of both. 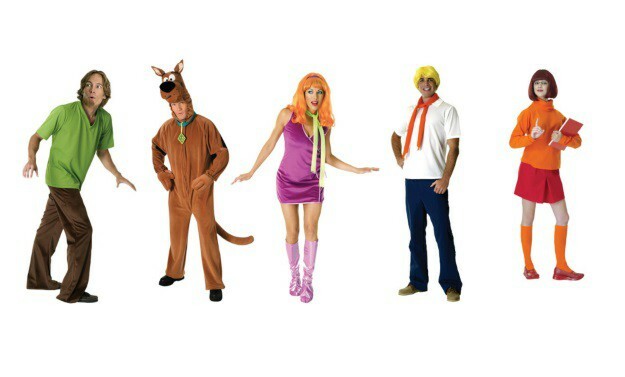 Scooby-Doo and the gang made up one of the 1960s most treasured animated series, and they're certainly fair game on Halloween! 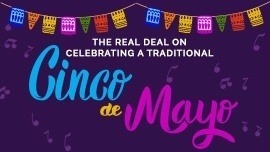 What better way to celebrate a holiday where many folks wear masks, then to go out on the town dressed as everyone's favorite mystery-solving team - unmask any villains as Fred, Velma, Daphne, Scooby, and Shaggy! Alice in Wonderland hit the scene in the late 19th Century and busted into pop culture with the 1951 Disney animated movie which reflected the innocence and imagination of the era. With an entire re-imagining of the film released in 2010 starring Johnny Depp (this was a far more twisted, psychedelic stance on the classic), it’s difficult to find a story more reproduced, adapted, or celebrated than Alice in Wonderland. Grease was released in the 1970s, but it was set amidst the leather jacket-wearing, Hot Rod-driving greasers of the 1950s. With highly distinguishable gangs - the T-Birds, Pink Ladies, and the Scorpions - the role that costuming played in the movie translated immediately to a group costume niche that’s still widely explored today. The uniforms of the brave men and women serving in the armed forces during World War II have since inspired countless days of dress-up. Another silhouette that remains popular today but hails from this era is the Pin-up Girl look. (These gals originally raised the morale of fighting men all over the world!) Today, both of these cultural landmarks make up a fair share of group costumes. Who hasn’t thought about following the Yellow Brick Road on Halloween at least once before? 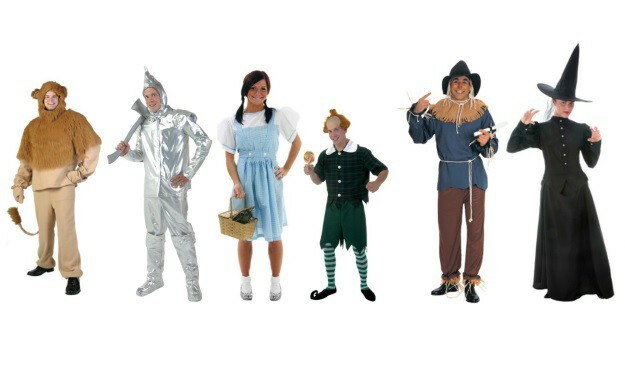 The 1939 film The Wizard of Oz, and its cast of enchanting creatures and characters represents one of the most recreated group costumes out there. 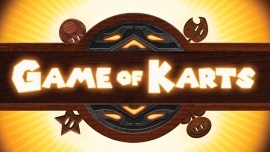 Of course, this is because it is a timeless choice that brings joy to many generations, but also because there is such a large cast of both starring and supporting characters, that this theme can easily be adjusted for groups any size. 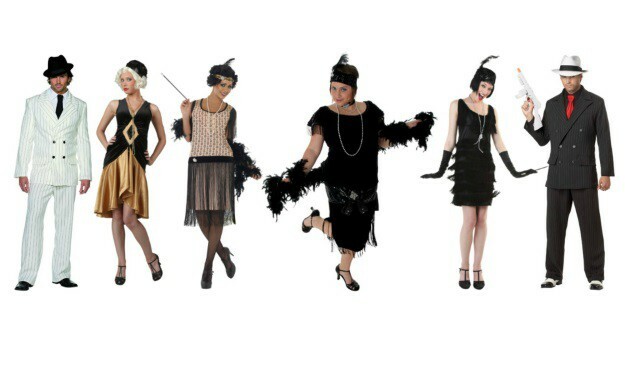 The effect of the Roaring Twenties on the group costuming scene is hard to ignore. An era where innocence gave way to prosperity in the wake of World War I, a collective sigh of relief and the warmth of peace influenced world culture in countless ways. The "Flapper Girls" and Gangster celebrities from the era typify the light and airy mood experienced by a world under reconstruction. Well, Marty, we’re out of gas. Better head back to the present! 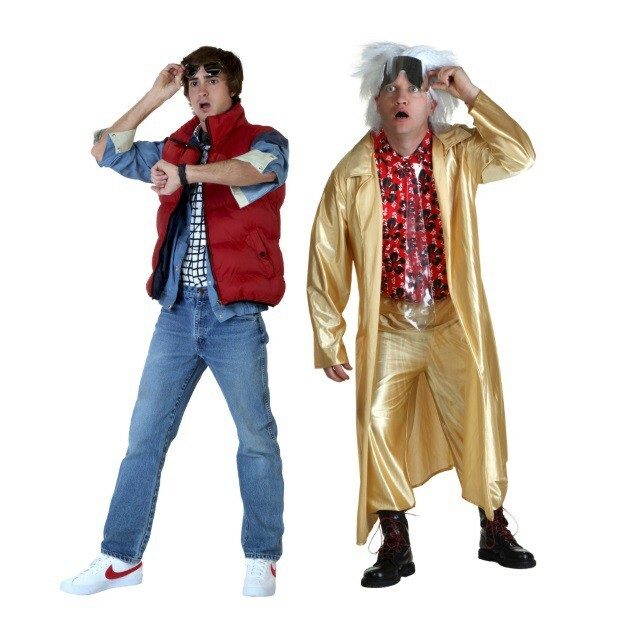 Keep in mind what you’ve seen here, and all your decades costumes needs should be met! 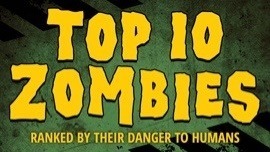 Regardless of which era captures your imagination, every decade has something to offer your group this Halloween. 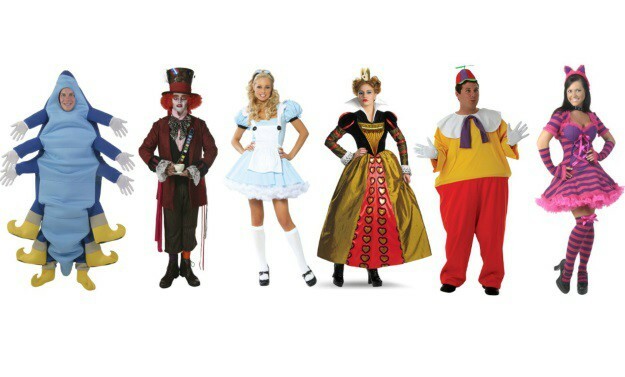 If you'd like to delve into history, popular culture, music, movies, or anything in between, the selection of group Halloween costumes at HalloweenCostumes.com is sure to set your Halloween off on the right foot! 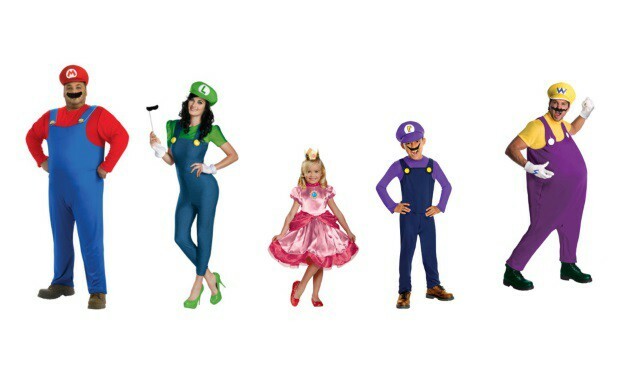 You can check out our whole selection of Group Halloween Costumes HERE!